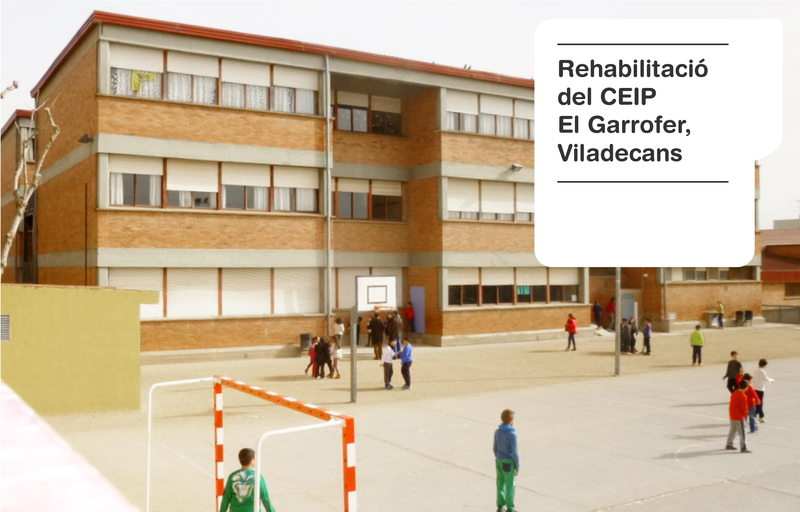 This project was contracted by Viladecans municipality based on the results of a previous study of the capacity of Deep renovation of three schools contracted previously by Area Metropolitana de Barcelona. 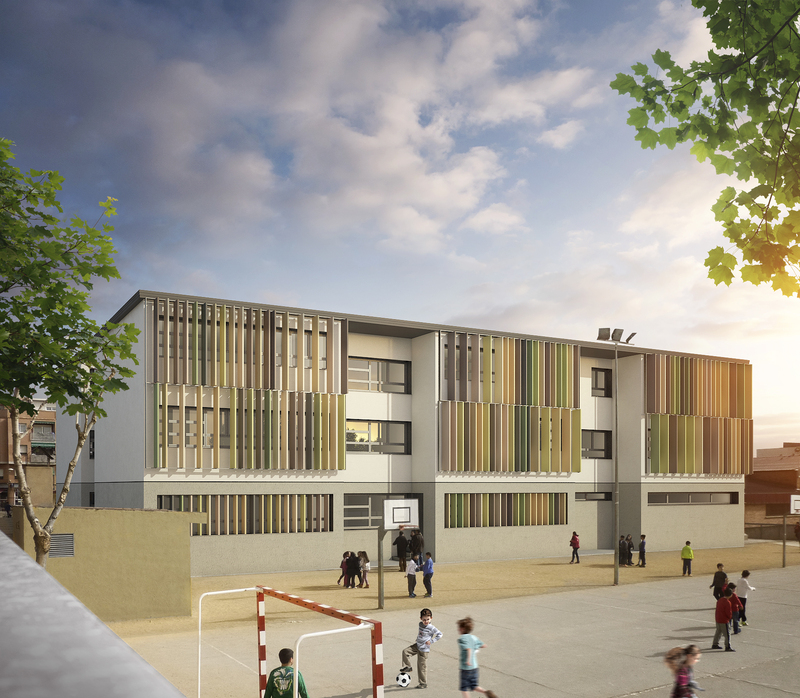 The project of deep renovation of “El Garrofer” school aims to renew the building so as to meet the Pasivhaus standard and have a nearly zero energy building (nZEB). 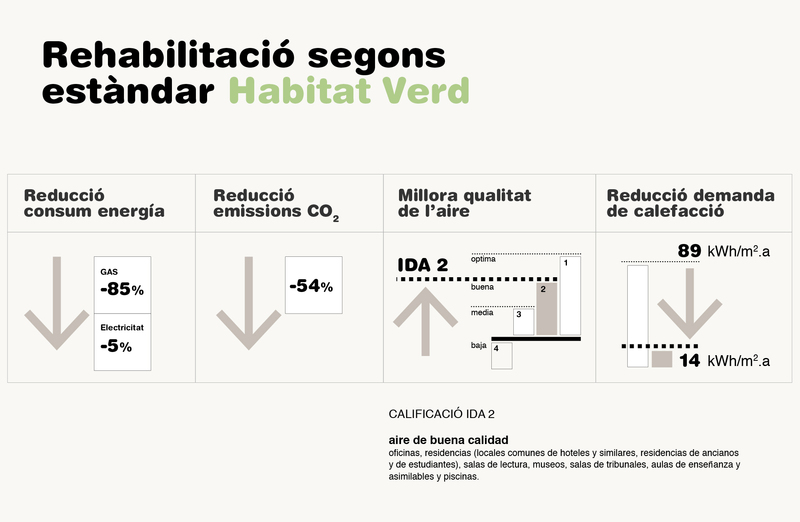 The users of the building have a lack of comfort in winter and in summer and require solar and daylight control systems.